The University of Georgia Hugh Hodgson School of Music is accredited by the National Association of Schools of Music, the National Council for Accreditation of Teacher Education, and the American Music Therapy Association. Home to approximately six hundred students and a faculty of sixty-five, the Hodgson School offers a wide variety of degree programs from baccalaureate through doctoral levels, as well as many opportunities for all UGA students to participate in ensembles and academic classes. Each year the School hosts nearly 350 public performances. As one of the rising national leaders in music schools today, the Hodgson School boasts facilities among the finest in the country. The Performing and Visual Arts Complex—which includes the Hugh Hodgson School of Music, Performing Arts Center, Georgia Art Museum, and Lamar Dodd School of Art—is located on UGA’s East Campus and reflects the university’s long-term commitment to the arts. 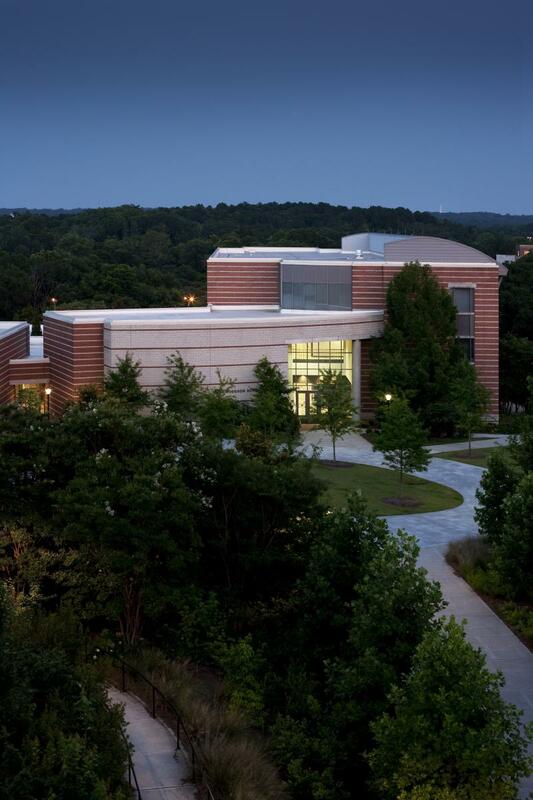 The Performing Arts Center draws world-class artists such as Itzhak Perlman, Yo-Yo Ma, Sir James Galway, and Wynton Marsalis, as well as major international orchestras, including a twice-yearly residency of the Atlanta Symphony Orchestra. 3. providing educational programs in music for professionals and non-professionals, and contributing to the quality of life of the university community and general public through a variety of musical presentations.